Scientists at Solliance, in collaboration with MiaSole Hi-Tech Corp, fabricated a flexible solar cell with a record breaking power conversion efficiency of 21.5%. The solar cell combines two thin-film solar cell technologies into a 4 terminal tandem solar cell stack: a top flexible semi-transparent perovskite solar cell with a bottom flexible copper indium gallium selenide (CIGS) cell. For more information see the IDTechEx report on Energy Harvesting Microwatt to Megawatt 2019-2029. A tandem solar cell, which combines a perovskite and a CIGS cell, has the potential for high conversion efficiency exceeding single junction solar cell performance thanks to tunable and complementary bandgaps of these individual thin film solar cells. CIGS technology has a proven track record as a high efficiency and stable solar technology, and has entered high volume manufacturing in multi-GW scale around the world. CIGS technology has been successfully used to produce high efficiency flexible and lightweight cells and modules, which address markets where heavy and rigid panels cannot be used. Perovskite solar cells, despite being a relatively young technology, have already achieved high efficiencies, and promise low cost solar technology based on abundant materials. Combining both technologies in a flexible and lightweight package expands the horizon of high performance, flexible, and customizable solar technology. In order to realize maximum conversion efficiencies, the absorption properties of the top perovskite cell and of the bottom CIGS cell should be tuned to complement each other. The perovskite solar cell was deposited on a transparent and flexible substrate, employed transparent conductive electrodes, and was optimized for maximum visible light conversion efficiency and infrared light transparency to allow the majority of infrared light to reach the bottom CIGS cell. The CIGS bottom cell was developed by MiaSolé Hi-Tech, a provider of CIGS production turn-key factories and manufacturer of CIGS flexible solar panels, located in Silicon Valley, California. The CIGS cell is based on a commercially available high efficiency flexible solar cell technology fabricated on lightweight stainless-steel foil using a proprietary high throughput roll-to-cell sputtering process. Properties of the bottom cell were optimized to match the top cell light transmittance spectrum to achieve high tandem cell performance. As result of combined expertise of MiaSolé Hi-Tech in the area of CIGS development and manufacturing, and the expertise of the Solliance team in the area of perovskite technology a new record efficiency flexible perovskite/CIGS tandem cell was produced. "Optimizing the bandgap of both cells was an important step in achieving this result", according to Mehrdad Najafi, Researcher at Solliance Solar Research, "These results are very promising for further development of high efficiency flexible solar modules". Program Manager of the Solliance Module Technology Program Hans Linden states: "This tandem development is a perfect example of the added value of working closely together on seemingly different technologies. Building a strong relationship and establishing trust between Solliance and MiaSolé enabled high level of cooperation, and made this progress possible. Next step is to further increase efficiency and, more importantly, to scale this technology to commercial-size cells and modules." 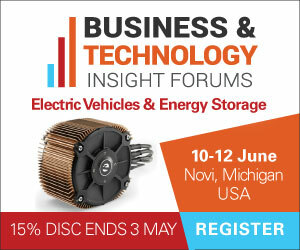 "As single junction efficiencies get closer to the theoretical limits, improving module performance while continuously reducing $/W costs becomes more difficult", adds Director of Technology at MiaSole Hi-Tech Dmitry Poplavskyy, "We believe that combining our core CIGS technology with a low-cost perovskite technology in a tandem architecture will allow us to achieve high module efficiencies while maintaining low $/W costs".